This has been a week of new recipes in my household. Last night we had black bean burros with corn, avocados, cilantro and a splash of lime topped with an ale queso. 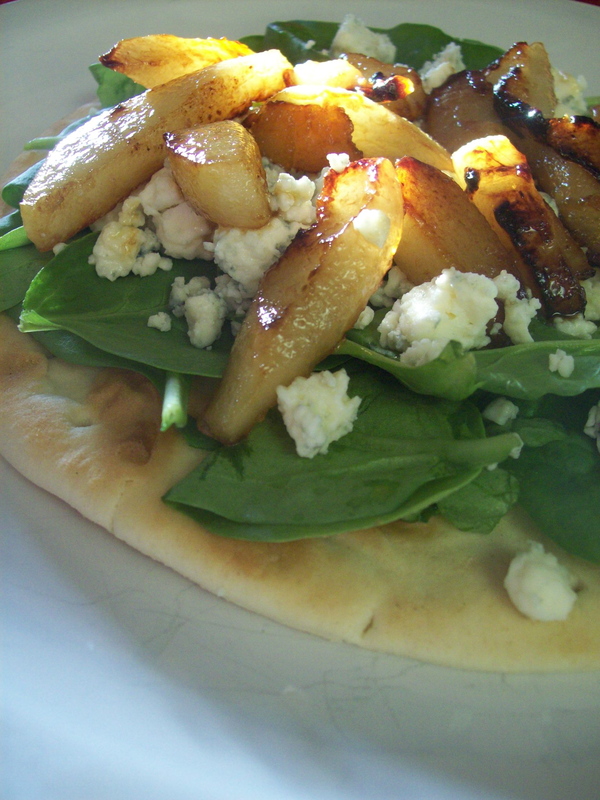 Tonight we went a little sweeter, sauteed pear and blue cheese pitas. I usually don’t like pears because of their gritty texture and they have a kind of sweet that’s just too sweet. I need a bit of tang in my fruit. But I saw a beautiful picture of the fruit browned to a caramel color and it looked delicious so I tried it tonight. So glad I did! Here is my little recipe. Reserve enough olive oil to drizzle on pitas, set aside and heat the remaining oil in a skillet. Add pears and brown sugar. Saute on medium high until pears are caramel brown. Broil pitas until they reach your desired crispness. 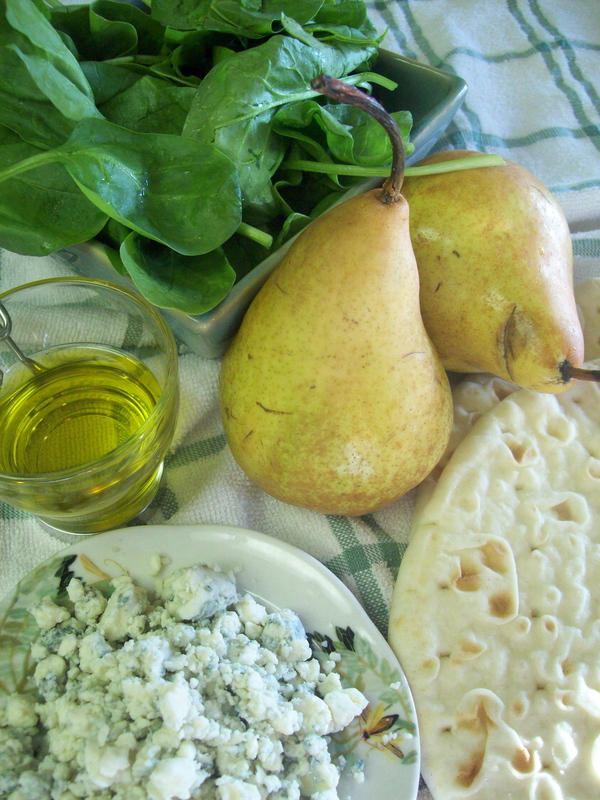 Remove from the oven and top with spinach, blue cheese and pears. Drizzle the pitas with the remaining olive oil and serve.